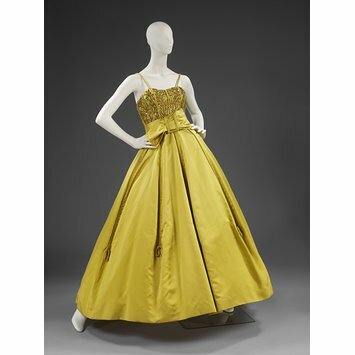 Evening dress of embroidered Chartreuse silk satin, with matching belt. 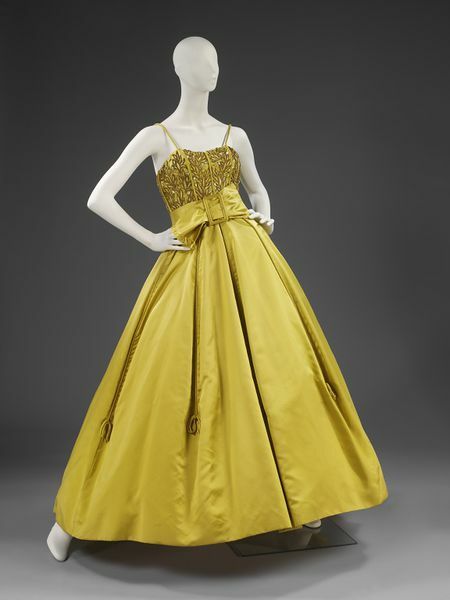 Embroidered silk satin evening dress with matching belt, designed by Owen Hyde Clark for Worth London, London, 1960. De la Haye, Amy, (ed). The Cutting Edge: 50 Years of British Fashion 1947- 1997. London, England: V&A Publications, 1997.